My fireball orange accents match the 41 degree heat we endured today! Electric blue works well with orange and is a popular colour combo. It gives this outfit kick! 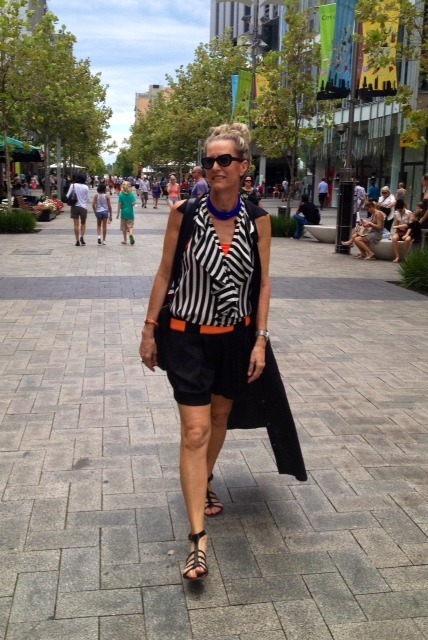 As we continue melting in Perth’s heatwave, shorts have been a popular choice from my wardrobe! The stripey racer singlet is Manning Cartell. The long black ‘vest’ is actually a button thru Staple dress. It wafts behind as you walk, giving extra coverage and creating layering interest. 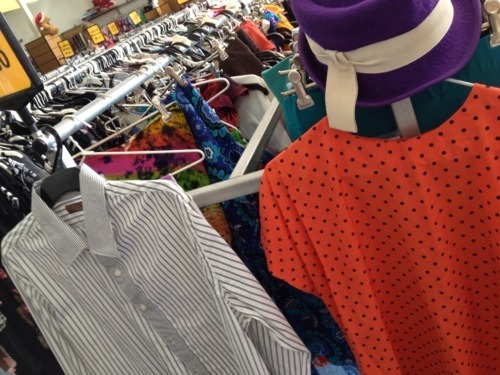 Tip: Go ‘opping’ for button thru, shirtmaker style dresses. You can cut the sleeves off and fray newly created armholes – HOT! 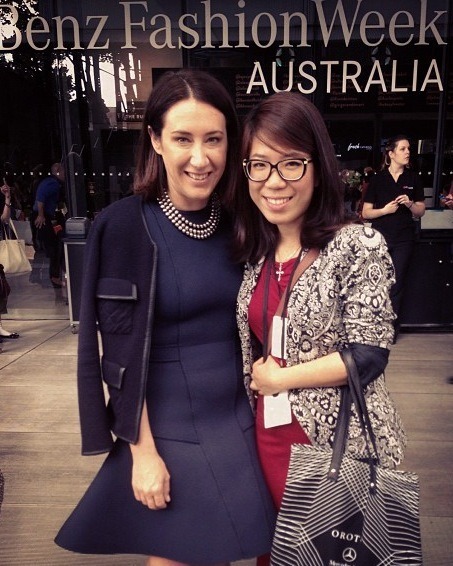 Keely from Sass & Bide was all ‘fired up’ in her new burnt orange dress. Here, she models ‘body armour’. 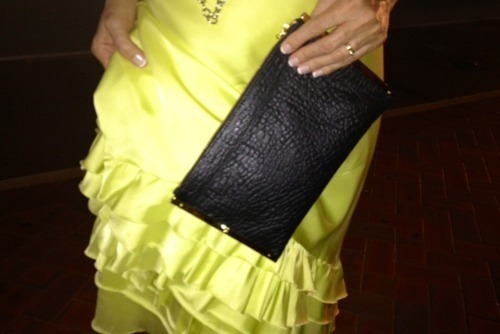 The black and gold, chunky accessory is a removeable bag strap (see it attached to bag below). It cleverly clicks together and is slung over one shoulder. 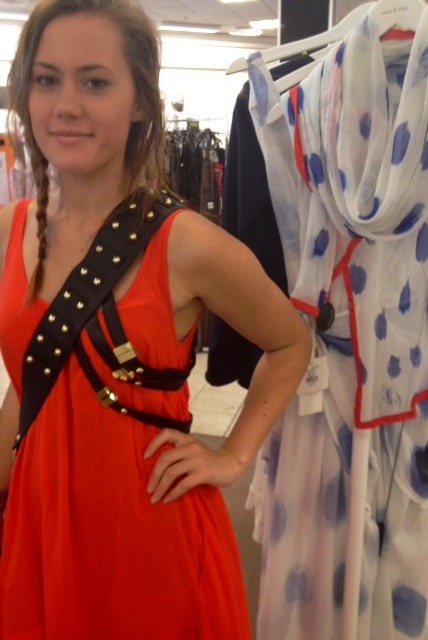 If the warrior look is not for you, note the stunning silk, blotchy blue/orange scarf in the background mmmmm….gorgeous. 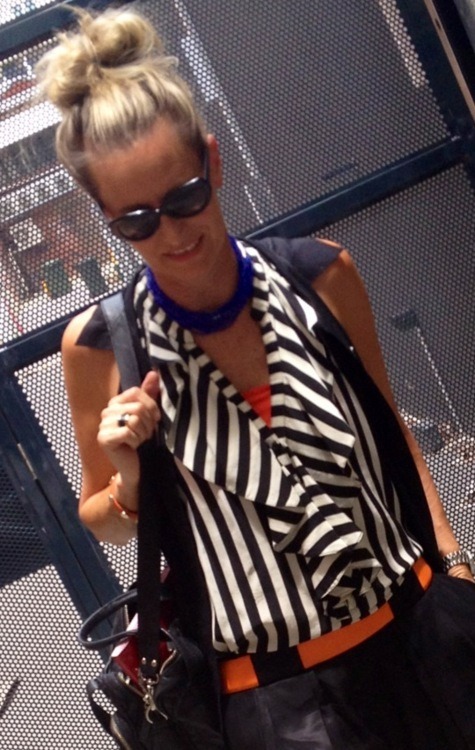 Here is the sass & bide bag. It has 2 straps. 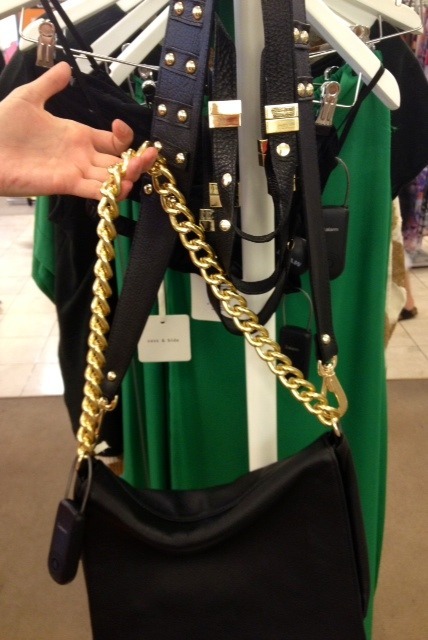 One short gold chain and the other a removable, long shoulder or ‘body armour’ strap. Now that’s clever!